Yet another budget smartphone launched by Coolpad. 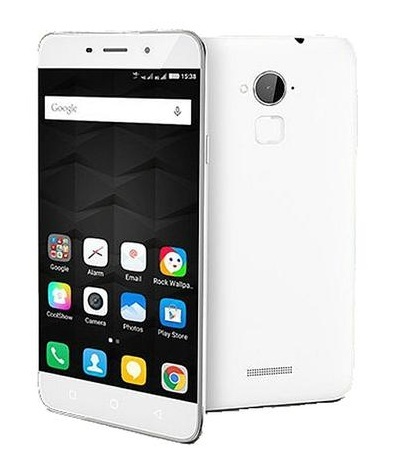 This Time Coolpad has come up with Note 3 Plus which is an upgraded version of Coolpad Note 3 which came with a 5.5 inch HD display, 3 GB Ram, fingerprint sensor. The Coolpad Note 3 Plus on the other hand has a 5.5 inch Full HD display and rest hardware is almost the same, such as an Octa Core Media-Tek 6753 CPU, 3 GB Ram, Fingerprint sensor, 16 GB internal storage which is expandable up to 64 GB via Micro SD card. Talking about the design, there is no such change in the design & built of the device. In terms of imaging it has a 13 MP Rear & 5 MP front camera. Octa Core Media-Tek 6753 CPU. 16 GB Internal Storage. Which is Expandable up to 64 GB Via Micro SD Card. OS Android OS, v 5.1. (Lollipop). CPU/GPU 1.3 GHz Octa Core Media-Tek MT 6753. | GPU Mali T-720. DISPLAY 5.5 Inch Full H.D. Resolution 1080 x 1920 pixels (~401 p.p.i pixel density). CAMERA REAR 13 MP. Resolution 4128 x 3096 pixels, Auto focus with Dual LED flash. | Features: Touch focus, face detection, panorama, H.D.R, Geo-tagging. | Video Features: 1080 p@ 30 fps, H.D.R recording | FRONT/SELFIE CAMERA 5 MP. BATTERY Non-removable Li-Ion 3000 m.Ah. STORAGE 16 GB Internal. Expandable up to 64 GB Via micro SD Card. FEATURES Fingerprint Sensor. | Full H.D Display. | Octa Core CPU. | 4 G Support. | Budget Device. SENSORS Fingerprint, Accelerometer, proximity, Gyro. CONNECTIVITY Bluetooth v 4.0. | W.I-F.I 802.11 b/g/n. | Hot Spot. | Dual SIM (G.S.M). (SIM-1 4 G (Micro S.I.M.) | SIM-2 3 G (Micro S.I.M). The Coolpad Note 3 Plus is priced at 8,999 Rupees in India. It will be exclusively available via Amazon from 13th May. It will come in two color options i.e. White, Gold.